And a week has gone by already since Aftershock 2016; we've had rainstorms here in Northern California, and there are more expected today. I keep thinking how provident the choice of weekend was for Aftershock this year, wrapped-around as it was by two other weekends full of much-needed rain. 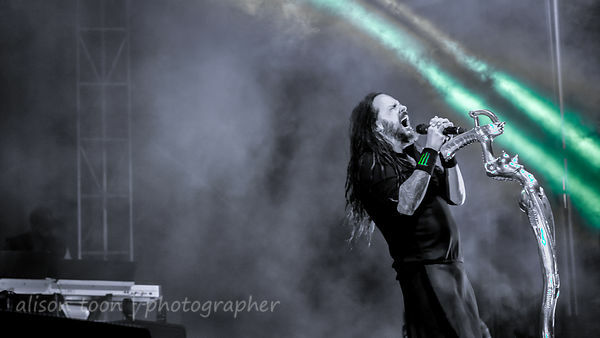 My spare minutes are filled with editing photos, listening to the music of the bands as I work on the images. One of the albums that has been on strong rotation here-at-home is Korn's latest, The Serenity of Suffering, released just over a week ago. It's sublime. 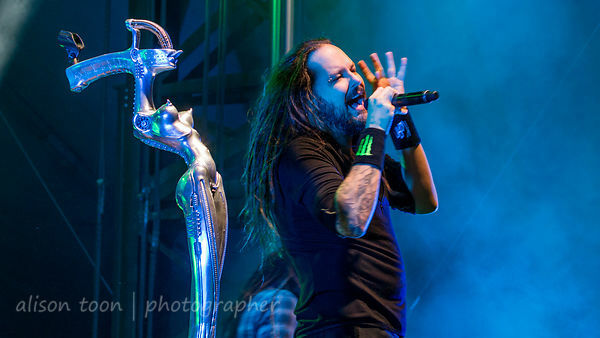 Korn are one of my favourite bands to photograph, and to see live. 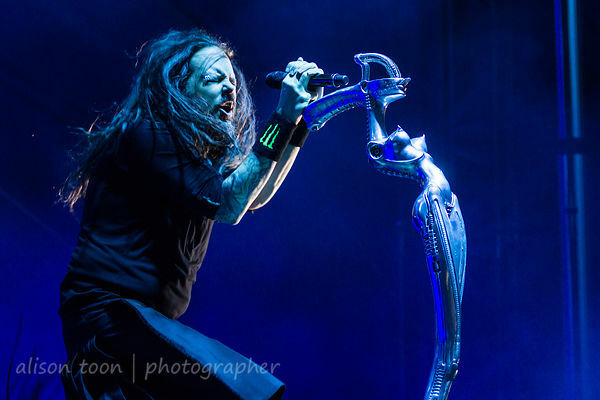 They are certainly not easy to capture inside a camera; the shifting lights, the rapid motion, the flying dreadlocks, the smoke and fog, and the reflections on that beautiful Giger mic stand. But... play the music, and take a look and see what you think. 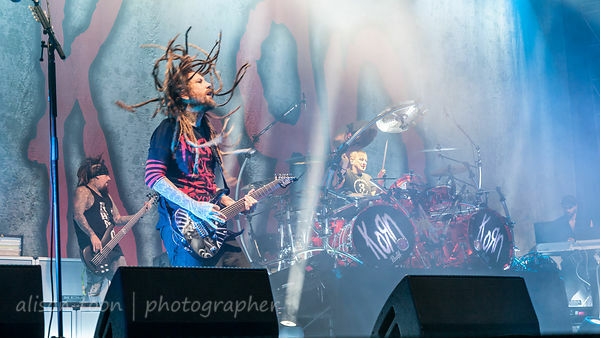 Korn's next tour dates are in Europe, with a whole string of dates in the UK together with Limp Bizkit, and then throughout mainland Europe with Hellyeah. Check out the dates here. And if you haven't bought it yet, The Serenity of Suffering is available on iTunes, Google, Amazon and Spotify, and probably in your local record store too.